Heck, they put any possible glider out during this sale, but still not shattered bloodstone or classic glider.. What a waste. Really hoped to buy one of those. Braham's Mace and Braham's Shield was last out June 29, 2018 which is almost 9 months ago, 9 months ago. If it has been deleted and completely unavailable anymore, they should tell us. Mistlock Sanctuary Pass is conspicuously absent from today’s VIP pass sale. All other gem store passes are discounted. I don't know if this is the topic, but I'd like to give AnenaNet a suggestion regarding March Sales or any other similar sales. We know that each day we have a new or a few items available for 24-hour period. In some of those days I found myself wanting to buy the item I actually bought in that day and the item offered after the 24-hour period expired. What I'm trying to say is that I had to buy gems twice, in two different purchases. Maybe it's not a big deal, but if we could have the option to buy both items, i.e today's item and the next day's item together, in one purchase, it would be great. What's the idea here? Make items available for 30 hours instead of the current 24 hours. That way, we could check if we wanted both items -- in that particularly day -- and if that's the case, we could buy them in one single purchase process, which would make sales more interesting for both consurmers and ArenaNet. ArenaNet would have the option to offer more items during each sales day and consumers would have the option to decide whether to buy the day's offer only or both items, i.e. yerterday's and today's items together. For instance: let's suppose we have Bag slots as today's sale. With that in mind, ArenaNet could smartly offer Bank tabs the next day and let players buy both items in one purchase for a period of 6 hours. It's convenient and it would help improve sales and make consumers/players happy. I'm sure we have other great examples of items that could be sold together. Maybe this idea could be discussed and possibly implemented during 2020's March Sales or any other special sales we'll be having during 2019. I also understand that we actually have to make multiple purchases during sales like this one, but each purchase would be smarter I believe. I suggested that because I did that -- many times -- with other games stores. And it is great when it happens. What do you guys @ ArenaNet think? What do you players think? So you want to buy yesterdays newspaper, and todays newspaper, at the same time? Still crossing my fingers for Shattered Bloodstone / Classical Glider.. Or both at once..
TAKE MY MONEY ALREADY, ANET! Can we please get the Geomancer Glider before the March sale ends? I've been waiting for it for the whole month. It would be great to have some more shining, glowing, right-and-left-symmetrical, and heavy-armored style outfits like the Sentinel one. I'd like to see some kind of pass to have access to some of the content that is locked behind seasonal events. SAB, the Snowman Raid, Mad King fight, Queens Gauntlet are all good examples of fun challenging content that are not available for people to play except for short time spans throughout the year. Obviously they would need to keep the dailies not available outside of the seasons to keep them special but selling a pass to this content would definitely sell. SAB for example could have access to the vendors and the only thing outside of season you could farm is the green, yellow, and blue skins. People would still play during the season to get the Crimson skins. They'd likely have to look at the loot drops for any of the modes they allowed with the pass to not make the seasonal content irrelevant. It's fun challenging content that shouldn't be locked out for the majority of the year. I know a lot of people would buy something like that to have access to that content throughout the year. It would also give those people that don't have a lot of time during those times of the year access to the content they otherwise don't get to play. I’d like to see more armor sets (especially GW1 inspired ones) and new hairstyles and faces. Really like the new Legion Jetpack. 10/10 on that. 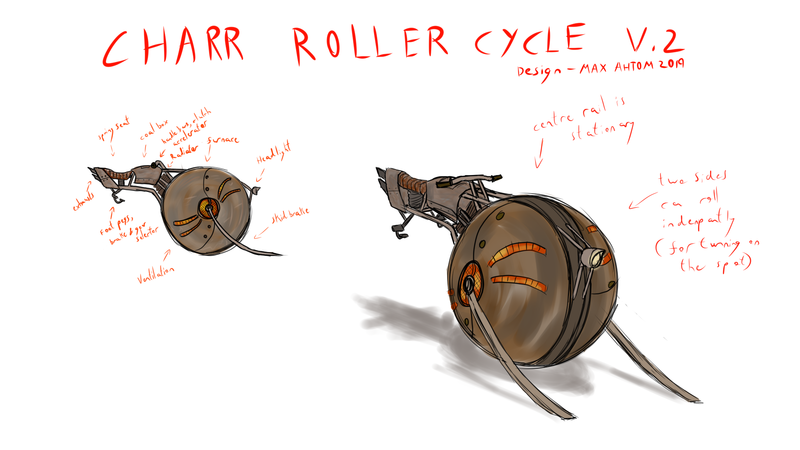 Still waiting on a parafoil parachute glider skin, Turl Sharptooth's rifle, and the Charr Roller Bike/Cycle skin for the Roller Beetle though. I know that it was more of a limited time reward, but I'd personally love to pay for the "Dragon Logo" shirt if it were a Gem Store (summer) sale offer. Would love to see the Winged Headpiece come back to the gemstore. Please add "Wild Magic Backpack Glider Combo" back to BLC or Stattuette. Im sure a lot of new players are willing to spend to get it and might even persuade them to keep on playing GW2. Request 1: Book of Olmakahn Meditations. This would be like the "How to Dance, Volume 1" book, but it would instead use the animations used in the Olmakahn meditations. By inviting people to follow along, you'd be able to lead a group through the moves, just as one of the Elders does in the Olmakahn settlement. Request 2: Third home garden plot, please. Having an "incomplete" garden for so long is annoying and frustrating. Sincerely, I would like to see Abaddon's Glider back in Gem Store once again. I will purchase it right away as I just exchanged some gold to gems, thank you! This is a very well designed skin and reminds me the great fun I had in Guild Wars 1. Mistlock Sanctuary pass was the only gem store pass not included in the March sale. Would be nice to see it up soon. Please bring back the Rainbow Unicorn Finisher Alternatively, adding the remaining finishers to the black lion statuettes would also very much be appreciated! Glittery, sparkly and dual chrome dyes! Suggested idle animation: player opens up coal box, and gets a big cloud of black smoke in their face causing them to visibly recoil, and freeze for a moment, before bringing their hand around and dropping more coal in, closes box, shakes soot off of face. I'm gonna make a request for skyscale skins because it's potentially early enough that they might not have made the pack yet. please put in a skyscale pack. i hope that there'll be similar variations like the warclaw mount, a fire themed one (can't have too much fire), a branded one and some other fun variations. I'd also really like one of those other variations to have a 'thin tail' variant of the skyscale. thanks for reading my suggestion, even if it's dumb. Can you let us buy this please? After 4 years away from the game (loving being back, btw), I am surprised that the "old Lion's Arch" hasn't been done. As for a second request, the silver salvage kit - just because I missed it. Can you bring back the best looking armor https://wiki.guildwars2.com/wiki/Braham's_Heavy_Armor_Skin ? Im returning player and It's like the only set that fits my ''norn berserker'' collection and transmog because there's not that many items that fit this theme that have some fur, a little revealing and can show tattoos. Please increase the availability of all the different mount adoption licenses. I get the idea of artificial scarcity but for those that don't get baitet into buying something else it's just frustrating, I've saved money to buy some of the skins I wanted and now I have to wait Kormir knows how long until its finally available again. Oh and since we currently have to wait unknown amounts of time for a specific mount adoption license to return to the Gemstore it would be fair to include them in a sale whenever they return. Yes, YES, the mount licences should definetely rotate more often, I have been sitting on my gems all throught the march sales and couldn't buy the mount skins I wanted, as well as the mursaat backpack/glider combo. The latter was on sale during previous march sales so it was a huge letdown. Please add mistlock pass and unbound tools back thank you. I have a bank maker for you ANet: Shrine Guardian Outfit Ears as Helmet skin. Zodiac Armor - Much requested item. Hasn't been in store for god knows how long. Many players didn't have the statuettes to purchase it, so why not offer it up to everyone with gems? It would be really cool to have a Sylvari set of mount skins that come in a box together like the Branded, Exo-Suit, and Awakened sets. The devs could draw inspiration from existing Mordrem, Sylvari, and Nightmare Court models and creatures in order to produce a new set of mount skins in keeping with the design of the Sylvari. It would be even cooler if they all had the "bioluminscent" feature that Sylvari have when it comes to coloring them. There could even be a side story to go with the idea, helping the Pale Tree to produce the new creatures. I literally came to this thread to ask for this exactly. Was not disappointed. Same here. I think I have suggested in the past. But please please please bring a Sylvari/Mordrem inspired mount set. I would immediately buy. Since there are both Cat Ears and Bunny Ears in the store, I would love to see Pig Ears + Pig Nose in the store as well. I think it would look cute and funny on some characters. I love all things sylvari and would love to have a jackal mount made from leaves like the fern hound and there could be a swirl of leaves as they port forward. I would also like a way to exchange items only available from chests or the gem store — revive orbs, hair styling, merchant summons etc. Some of these I like; some one can definitely have too many of! I would love to be able to exchange these items for those lion statuettes that come in the Black Lion chests. I would like to also suggest a sylvari inspired quiver. We have two fire ones!